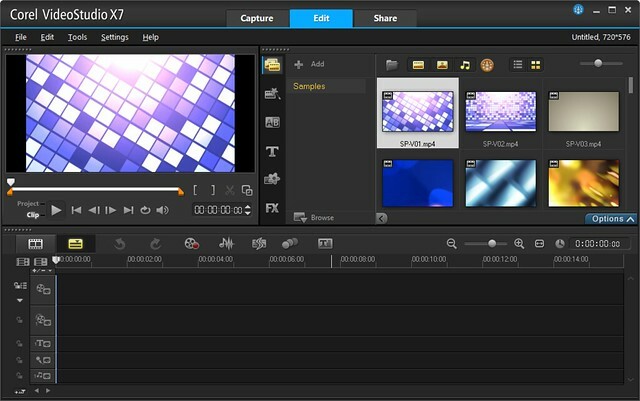 Enjoy the faster, easier way to make great-looking videos and slideshows. Corel® VideoStudio® Pro X7 offers new time-saving 64-bit power, faster render times for 4K and HD multi-track projects, fresh creative content and the new easy movie-making mode, FastFlick™. Immerse yourself in the creativity of streamlined workspaces, including the improved multi-track timeline. Create a huge range of video projects, from action-cam and personal videos, to slideshows, video blogs, screen recordings, stop motion animation and much more. Whether creating for YouTube or DVD, business or pleasure, VideoStudio Pro X7 makes it simple and fun to bring your video vision to any screen.